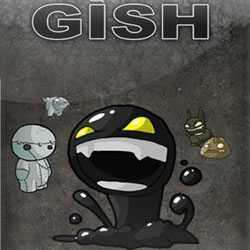 Gish is a Puzzle and Platformer game for PC published by Chronic Logic in 2004. Control a tiny character who is created by tar! The monsters have destroyed your home. So, You have decided to get revenge. There is another character named Brea. She is your girlfriend.